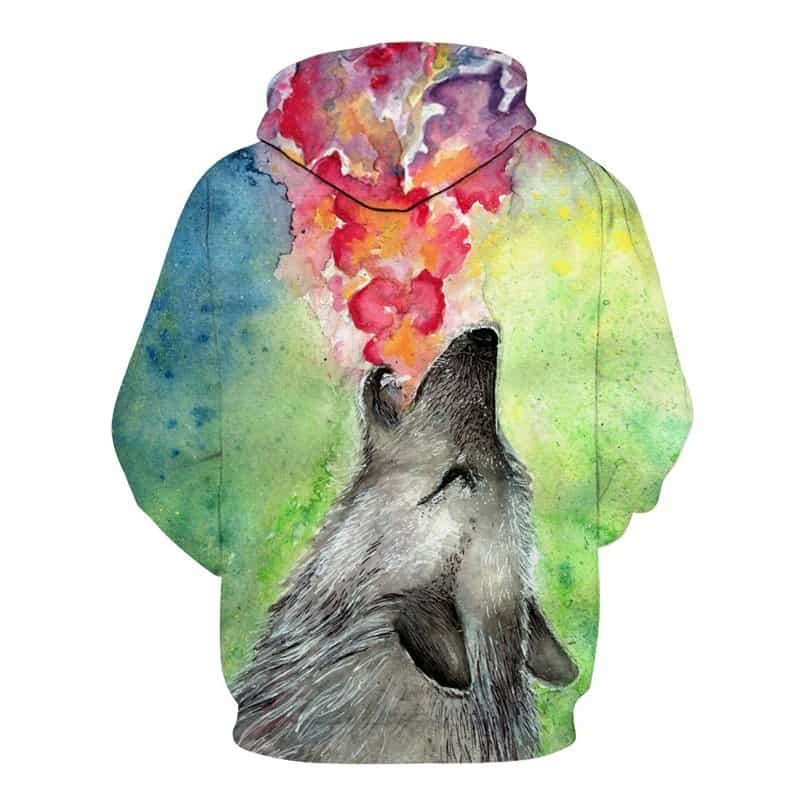 A really awesome Howling Wolf Hoodie concept. The print involves a wolf that is howling a stream of color out of his breath. The wolf is placed on a light green backdrop. 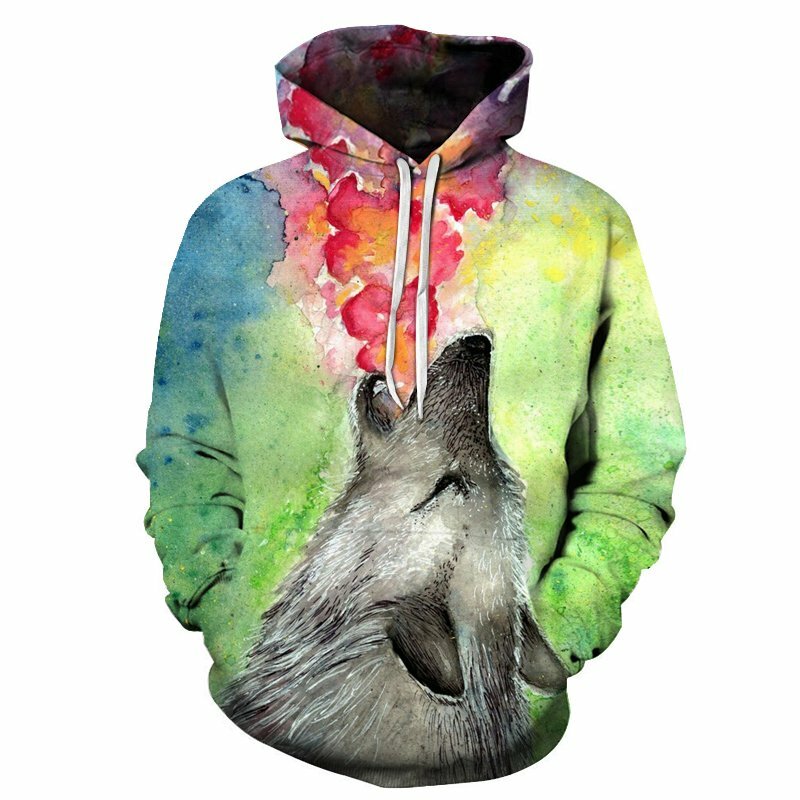 The perfect wolf hoodie. The hoodie is comfortable to wear, looks fashionable and is wearable anywhere. It was designed for both male and female.